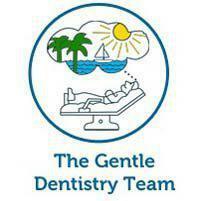 At The Gentle Dentistry Team, Dr. Newman performs root canal therapy but also has an on-site specialist available to treat patients in the Boca Raton, FL, and surrounding areas. A root canal is a special endodontic treatment that's used to treat deep decay and infection that occurs in the central portion of your tooth (called "the pulp") where nerves, blood vessels, and connective tissue are located. These tissues support the health and “life” of the tooth, and when they become infected or damaged, special care is needed to help preserve the tooth and prevent it from falling out. During a root canal procedure, the damaged pulp is removed and the cavity is sealed and filled to provide strength and protection. In most cases, the tooth is also covered with a crown to provide additional protection. Isn't it easier just to have the tooth pulled? 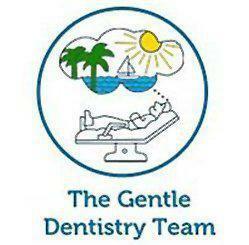 Generally, it's always better to preserve a tooth when possible rather than have it extracted. When a tooth is pulled, it can have a domino effect in your mouth, causing neighboring teeth to drift inward, weakening their roots and causing additional tooth loss over time. In addition, a lost tooth can cause your bite pattern to become unbalanced, causing additional strain on your jaw and exposing neighboring teeth to an increased risk of decay. Root canal treatment works to preserve teeth, helping to avoid these issues and maintain optimal oral health. Root canal treatment is performed in much the same way as a “regular” filling but with a few special techniques developed to treat deeper infection and damage. After the tooth and gum are anesthetized, the decayed or injured portion of the pulp will be carefully removed and the cavity will be cleaned of debris. The space will be sealed to protect the root of the tooth and a special filling material will be inserted into the cavity. If you're receiving a crown, an impression will be made to serve as a model. A temporary crown will be applied while your permanent crown is being made in a lab. No, today's root canal treatment techniques are designed to minimize pain. Any pain you may experience following the procedure can be treated with over-the-counter medication.